France just managed to avoid a defeat at home to Iceland, as Kylian Mbappe starred from the bench to secure a 2-2 draw. Didier Deschamps’ men were not at the races for long periods and appeared destined for a deserved defeat, but up stepped Mbappe – a second-half substitute – to ensure they did not suffer a first loss since March. France showed off their World Cup trophy in Guingamp this week, but Iceland showed no signs of intimidation and took the lead after half an hour through Birkir Bjarnason. Things got even worse after half-time when Kari Arnason beat Hugo Lloris to make it 2-0, but Mbappe forced a Holmar Eyjolfsson own goal in the 86th minute and then netted a penalty four minutes later to seal a dramatic draw. France did not craft a genuine chance until the 28th minute, when Florian Thauvin blasted Ousmane Dembele’s cut-back over from 16 yards. Two minutes later, France were trailing. Alfred Finnbogason robbed Presnel Kimpembe in the corner and he subsequently picked out Bjarnason on the edge of the area to coolly slot into the bottom-right corner. Iceland should have got another soon after, but Lloris somehow kept them at bay, saving Ragnar Sigurdsson’s header before denying follow-up efforts from Bjarnason, Finnbogason and Runar Sigurjonsson in quick succession. The away side doubled their lead just before the hour, as Arnason met Gylfi Sigurdsson’s fine corner with a towering header. But Mbappe soon took over, producing a brilliant turn before shooting from a tight angle and the ball found the net via Hannes Halldorsson and Eyjolfsson. The Paris Saint-Germain forward then found the top-left corner with a penalty after Kolbeinn Sigthorsson handled a corner, denying Iceland a famous win. 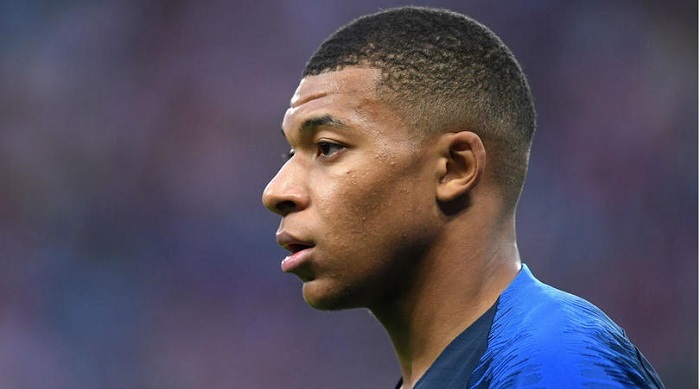 France looked blunt in attack until Mbappe came on. The teenager took the game by the scruff of the neck and stamped his authority like no one else when the rest of his team did not look particularly interested, highlighting his brilliant attitude. Everton star Sigurdsson showed his leadership qualities and importance to Iceland yet again, as he dragged his team forward. His passing was unrivalled in the Iceland team, he claimed an assist and he made something out of lost causes. PSG’s Kimpembe was given the chance to play from the start, but he failed to impress. Chief among his poor decisions was optimistically dropping to the floor in search of a free-kick when tackled by Finnbogason for the first goal. Both sides are in Nations League action next week. France host Germany on Tuesday, while Iceland welcome Switzerland to Reykjavik on Monday.